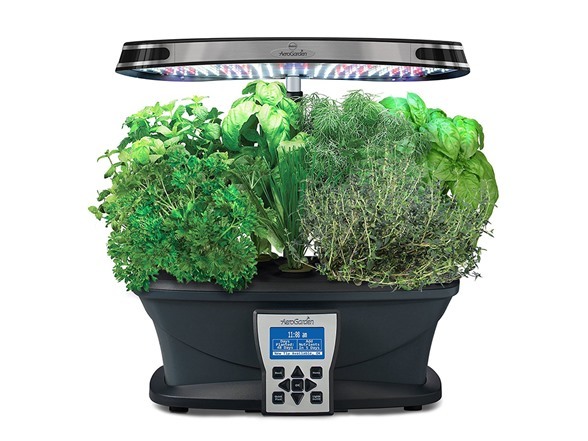 Imagine fresh herbs and vegetables grown indoor, year-round. 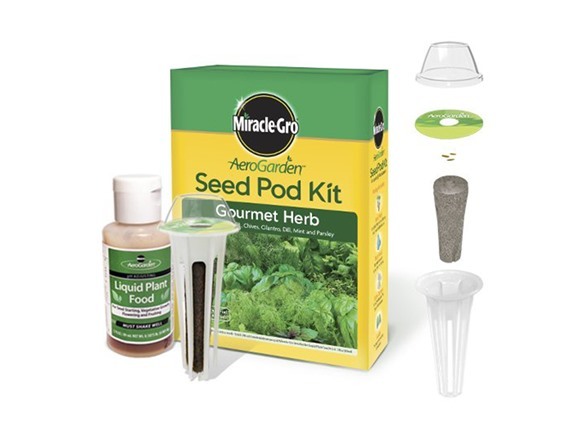 The Miracle-Gro AeroGarden Ultra can grow fresh herbs, vegetables, salad greens, flowers and more! This smart countertop garden uses water and patented nutrients (included) to naturally grow plants… no herbicides, no pesticides, non-GMO. 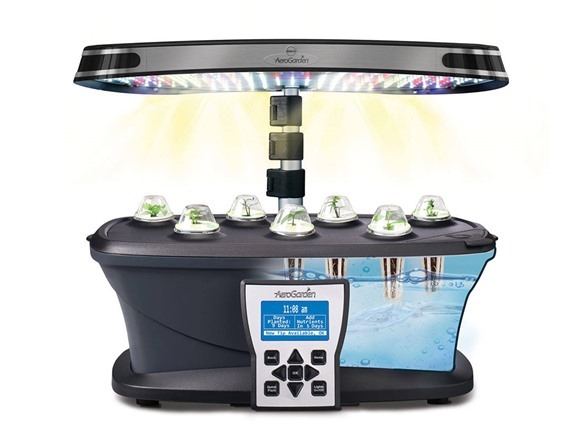 Grow up to 7 plants (simultaneously) in this garden using 30-watts of high performance, energy efficient LED lighting. 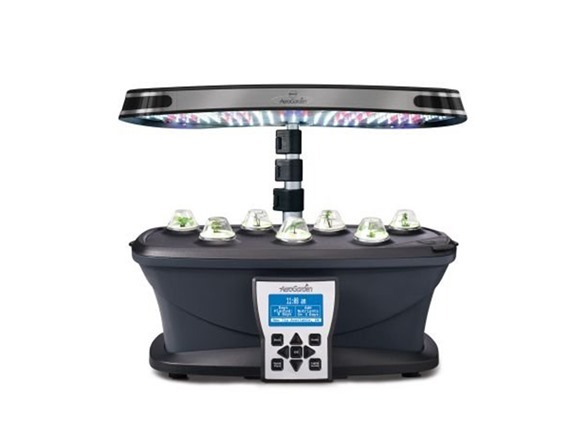 The LED lights are tuned to the specific spectrum that allows plants to maximize photosynthesis, resulting in rapid, natural growth and abundant harvests. 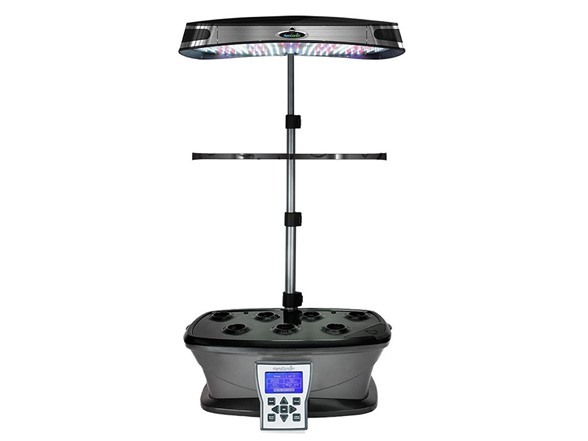 The LED lights concentrate daylight white LEDs for fast growth, blue LEDs for bigger yields, and red LEDs for more flowers and fruit. With ideal lighting and optimally balanced levels of water and nutrients, plants grow up to 5 times faster than when grown in soil.